New Year’s resolutions may already be waning but consumers continue to purchase foods and beverages bearing the “All Natural” labels in an effort to eat healthier. The only food trend hotter than buying “Natural” foods and beverages is suing the manufacturers that prod uce them. Despite the expanding “All Natural” market, the FDA does not substantively regulate “eco labeling” or define “natural.” FDA’s guidance provides only that “the agency has not objected to the use of the term if the food does not contain added color, artificial flavors, or synthetic substances.” Plaintiffs capitalize on this discrepancy, annually filing dozens of suits alleging that “Natural,” “100% Natural,” and “All Natural” labels mislead consumers because these products contain genetically modified organisms (GMOs), artificial or synthetic ingredients, or other objectionable ingredients. Courts have yet to define “natural” and instead typically decide more procedural issues, like standing, class certification, and preemption. A number of recent decisions in the labeling claims highlight the reasons why California remains plaintiffs’ venue of choice for “Natural” claims. Specifically, plaintiffs prefer California due to its lenient pleading standards and consumer-friendly unfair competition laws. A recent action against AriZona Beverages demonstrates the importance of venue. 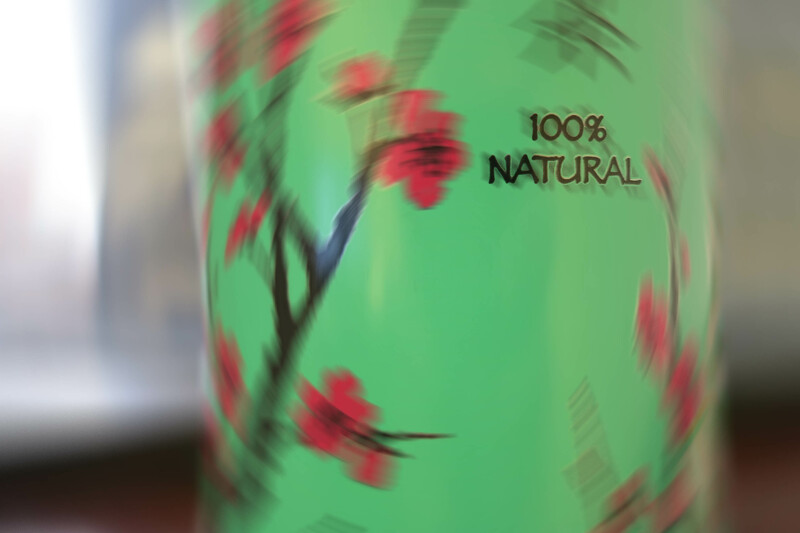 Plaintiffs lodged a putative consumer class action alleging that AriZona misrepresented its iced tea as “All Natural” because it contained high fructose corn syrup (HFCS) and citric acid. The named plaintiffs admitted in their depositions that they could not recall the details related to the product purchase including the name of the store, the exact price paid, or the precise statements on which they relied. Despite these deficiencies, the federal district court found that plaintiffs provided a sufficient evidentiary basis to establish injury-in-fact and reliance to survive defendant’s summary judgment motion on standing. Ries v. AriZona Beverages USA, LLC, 2012 U.S. Dist. LEXIS 169853 (N.D. Cal. Nov. 27, 2012). The AriZona court declined to follow a New York federal district court that granted defendant-Snapple’s summary judgment motion in an almost identical “All Natural” action with similarly-flawed deposition testimony. In Weiner v. Snapple Bev. Corp., plaintiffs sued Snapple, alleging the beverage company misrepresented its HFCS- containing teas as “all natural.” The Snapple court noted that New York law requires plaintiffs to “proffer evidence sufficient to demonstrate damages with a degree of certainty” whereas plaintiffs here “provided nothing but conjecture as to the prices they paid for Snapple and the prices of comparable beverages available for sale at the time.” Weiner v. Snapple Bev. Corp., 2011 U.S. Dist. LEXIS 6094 (S.D.N.Y. Jan. 21, 2011). See also, Rapcinsky v. Skinnygirl Cocktails, L.L.C., 2013 U.S. Dist. LEXIS 5635 (S.D.N.Y. Jan. 9, 2013) (denying plaintiff’s motion for class certification where Massachusetts plaintiff sued under New York law and whose inconsistent deposition testimony demonstrated a lack of causation and reliance). Thus where the New York court closed the case, the California court allowed the plaintiffs to proceed. The AriZona and Snapple plaintiffs alleged violations of unfair competition and false advertising laws, which vary by state. Assuming there are no procedural deficiencies, California courts often allow these allegations to survive a motion to dismiss when applying California law. For instance, ConAgra recently failed in its motions to dismiss two separate deceptive labeling suits in California. In Jones v. ConAgra, plaintiffs alleged deceptive and misleading labeling information because ConAgra labeled PAM cooking spray, Hunt’s canned tomatoes, and Swiss Miss cocoa as “100% Natural” even though they allegedly contained petrochemicals, synthetic chemicals, and artificial ingredients. As in previous “All Natural” lawsuits, the court dismissed the federal and state warranty claims but conferred standing to allow the state deceptive business practices claims to move forward, assuming plaintiffs adequately plead that the labels would deceive a “reasonable customer.” Jones v. ConAgra Foods, Inc., 2012 U.S. Dist. LEXIS 178352 (N.D. Cal. Dec. 17, 2012). In a separate action alleging the presence of GMOs in ConAgra’s “100% Natural” Wesson cooking oil, plaintiffs sued the food maker under various states’ consumer protection and deceptive trade practices statutes. The district court permitted some claims but dismissed claims under the consumer protection statutes of New Jersey and Nebraska as well as the implied warranty statutes of New York, Ohio, Oregon, and Washington based on the plaintiffs’ failure to plead within the various requirements of those statutes. In re ConAgra Foods, Inc., 2012 U.S. Dist. LEXIS 179539 (C.D. Cal. Nov. 15, 2012). In a victory for food manufacturers, Frito-Lay successfully consolidated seven “All Natural” class action claims across multiple jurisdictions into one claim in Eastern District of New York. This litigation followed on the heels of Frito Lay’s “All Natural” marketing blitz in late 2010. Plaintiffs sued the snack maker in multiple jurisdictions alleging liability for including GMOs in its “All Natural” Tostitos and Sun Chips varieties, as well as its “All Natural” Bean Dip. The Judicial Panel on Multidistrict Litigation rejected plaintiffs’ motions to have the “chip” and the “dip” claims separately consolidated. Instead the Panel consolidated the claims into one action since they turned on the same factual questions and reasoning. In re Frito-Lay N. Am., Inc., 2012 U.S. Dist. LEXIS 177690 (J.P.M.L. Dec. 12, 2012). As these cases illustrate, the “All Natural” “food fights” often occur at the pre-trial stages of litigation. For those cases that survive early dispositive motions, the parties must then confront the additional uncertainties of what ingredients are “Natural,” how much of a synthetic ingredient a “Natural” product can legally contain, and ultimately, if a jury will determine that the labeling would mislead a “reasonable” consumer. Until lawmakers, the FDA, or common law precedent provide standards for “Natural” food labeling, how courts adjudicate threshold issues such as standing and class certification will continue to be a central issue in food labeling claims. ‹ It’s 2013 – Time to Shape Up!